This LO is one that I did yesterday. 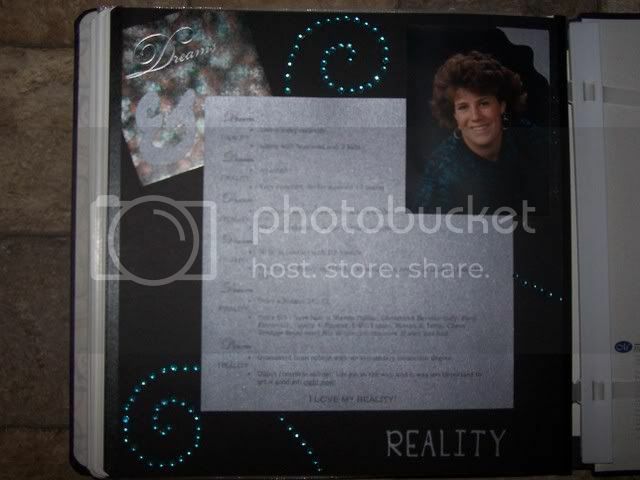 It is of my HS graduation photo and the journaling comes from my HS book with a constrast to the reality of today. I really enjoyed doing this LO and thought it was the perfect way to display my senior photo. Here is the journaling in a font easier to read on this board. · Very attached. So far married 12 years! · Didn’t complete college. Life got in the way and it was too important to get a good job right now! Thanks for posting your journaling. I enjoyed reading it! I find journaling so fascinating! Your reality is a lot like mine!